Prepare to sweat and have fun! Michelle brings a unique joy filled intense perspective to her rides. Her infectious energy will guide you through a fun filled, high energy and emotionally releasing experience. Spinning for over two decades and teaching for five, she is former competitive gymnast, life-long runner, yogi, sweat enthusiast and has rarely spent a day not exercising (this all helps her be a better mom and wife by the way). Her music ranges from Punk to Pop to Rock Classics and beyond. 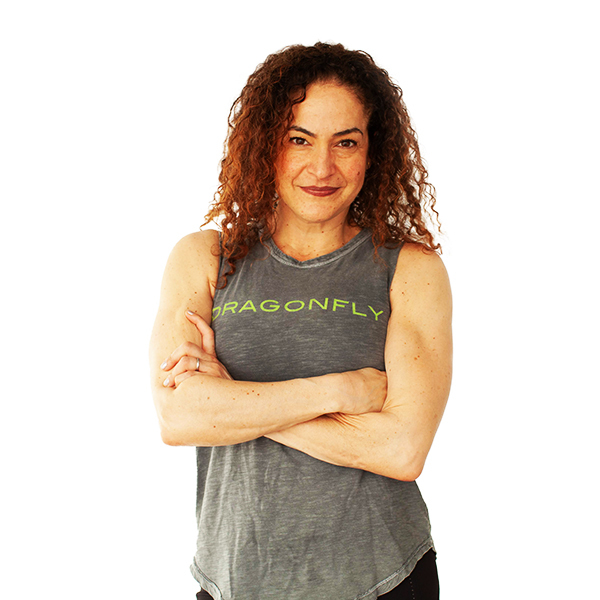 Michelle has a lifelong love of fitness and wants each client to leave class with a sense of accomplishment and strength. Her TRX classes are challenging – and laugh inducing. Michelle believes a good sweat makes everything better. She is a New York girl through and through, but the edges have softened a bit. Nahhhhhh.